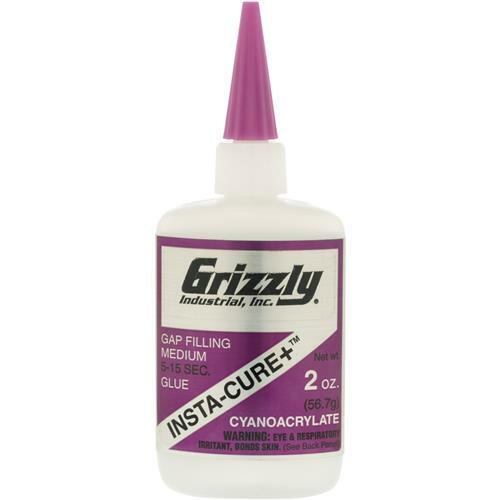 Grizzly H0927 - Insta-Cure +™, 2 oz. When working with balsa wood for model building or other soft woods, this Gap-filling cyanoacrylate is tough to beat. Maximum working time is 5-15 seconds, so no clamps are needed during assembly. Simply apply Insta-Cure+ and hold parts together until set. Permanent bonding Insta-Cure+ dramatically speeds assembly time over traditional wood glues. I have used this product for years. It is superior to any other I know of.